October 31, 2012 By // by Frugal Patti 5 Comments This post may contain affiliate links. This means I make a small commission if you make a purchase, at no additional cost to you. See my disclosure for more information. Every busy woman, whether a busy executive or a busy stay at home mom, can all use some pampering. Women give so much of themselves to their families, friends and work associates. 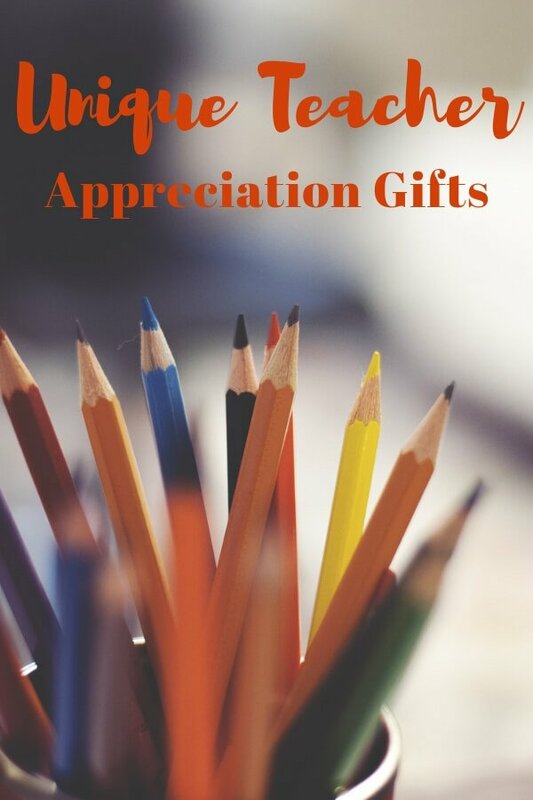 When that birthday or holiday comes around, it’s a great time to give back to her and show her how much you appreciate her and all she does throughout the year. Planning ahead and thinking of what she really enjoys, will help you chose the right gift theme for her. Does she dream of that luxurious spa day? Maybe some home spa products would be perfect for her. Does she enjoy propping her feet up and watching an old movie? A home movie night theme may be just the thing to make her happy. Think of what she enjoys doing in her free time. Did her face light up when a friend was talking about a special piece of dark chocolate or when you spoke of your favorite lasagna recipe you made last night? Paying attention to these queues will give you the perfect hint to what gift theme to choose that will really make her happy. Selecting a gift that she will enjoy is so much more important than selecting a gift that is large, expensive or showy. When she knows you put thought and effort into her gift, she will surly appreciate it. With that being said, depending on the gift occasion and your current budget, you can easily scale the gift to fit the situation. That special birthday for your mother will typically be of a larger scale, than when you are giving Christmas gifts to 10 to 20 people in your office or want to give a small token of appreciation to an acquaintance. You can scale your gift to fit the situation by the size, number or items and/or even by choosing different packaging. 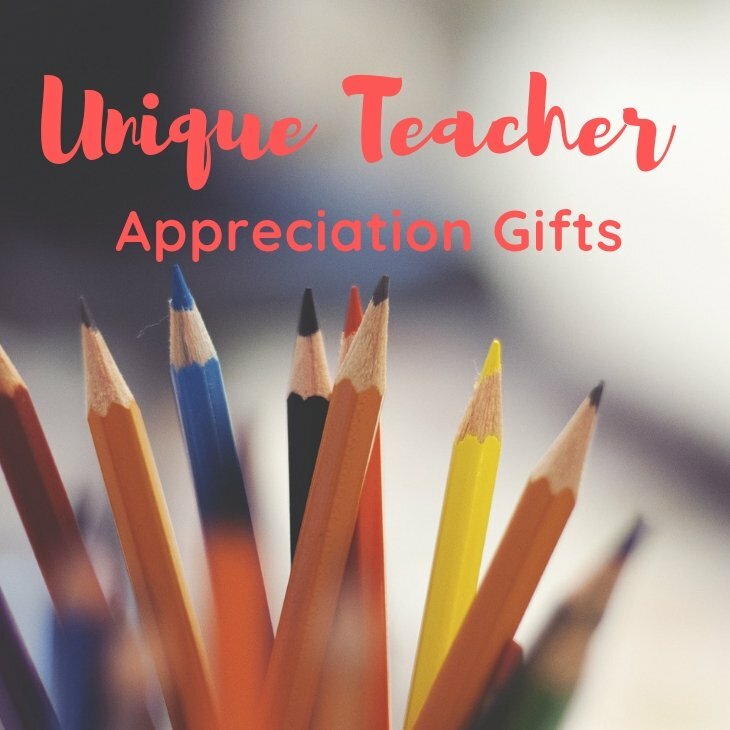 This gift scaling technique can be used with all the themes listed below. Always remember a true friend will not want you to outspend your budget, they will be appreciative and happy with a gift that shows you thought about the selection, care about them and remembered them. Think of the Spa Theme (below) for an example. The small scale gift can be a smaller portion of the milk bath recipe in a cellophane bag, tied with a ribbon and gift tag. A larger version of this gift idea would be a larger amount in a glass container. If you wanted to take this idea to the next level, you could make a gift basket including a variety of similar themed products. I’ve included examples of this technique for each of the below themes. What women doesn’t need some time to herself to relax? What better way to help her do this than to bring the spa products and atmosphere to her home? 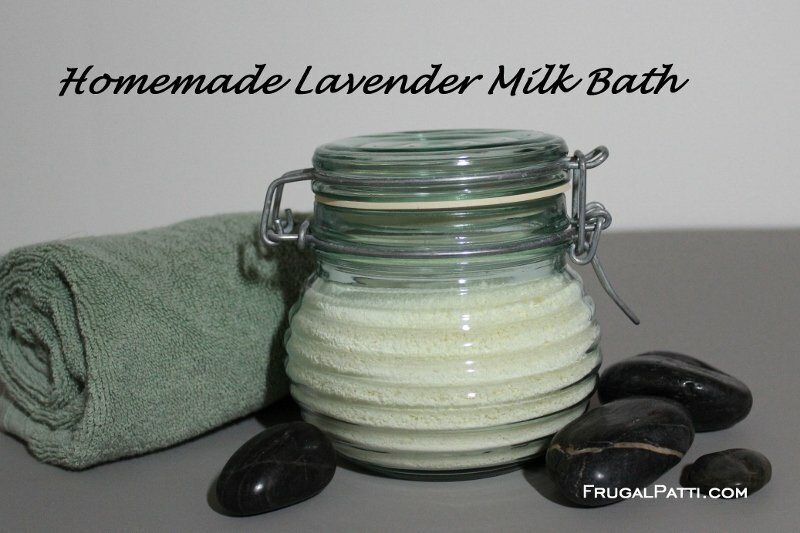 I’ve made and given Lavender Milk Bath as a gift many times. The lavender essential oil I’ve used provides relaxation through aromatherapy. Additionally, this is a gift that can be made in different sizes to fit the gift occasion at hand. In one situation, I gave milk bath in small glass containers to a group of co-workers for Christmas. At another time, I gave a larger decorative jar of the milk bath as part of a bridal shower gift. This has been a huge hit with everyone I’ve given it to. Below are three recipes to help you get started making homemade spa gifts. Instructions: Combine the above ingredients in a bowl and place in container for storage. Note: Other essential oils can be substituted for your preference. Instructions: Combine all ingredients in a bowl and then transfer to a container for storage. Instructions: Combine all ingredients in a bowl, then place in a glass or plastic with a tight fitting lid for storage. Small Scale Ideas: For a small scale gift, consider one of the above recipes, in a smaller package. The milk bath or bath salts can be placed in small portions in cellophane bags (available at your local craft store, such as Michael’s in the cake or candy decorating section). Small glass jars are another great option. They can be purchased at craft stores (such as Michael’s), discount stores (such as Big Lots) or even thrift stores (such as Good Will or The Salvation Army). Medium Scale Ideas: To make this gift theme a bit larger, you could make the milk bath in a larger decorative glass container. I’ve used small canisters found in the kitchen section for this. Another option would be to have multiple items, either different products or the same (such as a set of 3 portions of milk bath in cellophane bags). Large Scale Ideas: To make this an even larger scale gift, you can make a gift basket of many spa items. I’ve seen many beautiful baskets at thrift stores as well as some great decorative jars of various sizes. Along with the above recipes for spa products, you can also include other spa themed products to enhance your basket, some ideas include: lotions, soaps, exfoliating products, facial masks, an exfoliating scrubber, fuzzy socks, microwavable bed buddies and even candles. When making a gift basket it’s always nice to have an odd number of items for a nice presentation. Chocolate is another gift that will please most women (and many men too). By making the chocolate gifts yourself you can create a thoughtful and great tasting gift, which can also be prepared at reasonably priced. A batch of homemade brownie mix, displayed in a mason jar, is another one of my favorite gifts for larger groups of people. This is another gift I’ve given to multiple co-workers and received many over-the-top complements. Instructions: Layer each ingredient in the above order into a 1 quart mason jar. Each ingredient can be packed down by tapping the jar lightly on a flat surface. Label with baking directions. Preheat oven to 325 degrees. Lightly grease a 9 x 12 inch baking pan. Combine softened butter and eggs in a bowl. Add the jar of brownie mix to the butter and egg mixture, blend well. Spread mixture into the prepared pan and bake for 30 to 40 minutes. Cool brownies in pan and cut into squares. Cocoa mix is another quickly made gift, which is great for the colder months. Smaller amounts can be put in cellophane bags or larger amounts in small mason jars or other glass jars. Instructions: Combine all ingredients in a bowl. Place in containers for storage. Label packaging with directions to make hot cocoa. Mix 1/3 cup of hot cocoa mix to 1 cup of hot milk or water. Homemade truffles are surprisingly easier to make than you may think. By using the highest quality of ingredients you can afford, the taste can amaze for family and friends. Candy boxes and other packaging options are readily available in the cake and candy decorating section of your local craft or discount store. With homemade truffles and great packaging, there will be no need to buy expensive chocolates from a chocolate boutique store. Instructions: Slowly heat heavy cream in a double boiler, until it reaches a slow boil. Add the chopped chocolate and stir until all the chocolate is melted. When the chocolate is melted, add the butter and mix until melted and you have a thick, rich chocolate sauce. Add the liquor and combine well. Place the chocolate mixture in the refrigerator until firm. Once firm, roll into one inch balls and coat with powdered sugar, cocoa powder or chopped nuts. Note: If you don’t have a double boiler, place a glass or metal mixing bowl over a saucepan of boiling water. Place the ingredients in the mixing bowl. Small Scale Ideas: For a small chocolate gift, you can prepare one of the above recipes in a smaller size that fits your needs. Medium Scale Ideas: If you’d like to give a bit larger gift, you could create a larger portion of one of the above recipes, more elaborate packaging or gift more than one item. For example, a cellophane bag of hot cocoa mix can be placed in a decorative mug for a larger gift. Large Scale Ideas: To make a large scale chocolate themed gift, I would again move to the gift basket idea, for flexibility. Any or all of the above chocolate gift recipes can be included. Other items that can be added for this theme are, but are not limited to, hot chocolate mugs, chocolate bars (dark chocolate is a great option), a batch of brownies already baked and/or a chocolate cook book. If you want to be even more creative, the base of the gift basket can be a brownie pan instead of a basket. A bottle of wine can be a great gift for the wine lover in your life. Good wines are available in any price range, but you will need to pay attention to the type of wine that your gift recipient likes to choose the right one. You will need to know if she prefers white or red; sweet or dry; and even mild or bold. 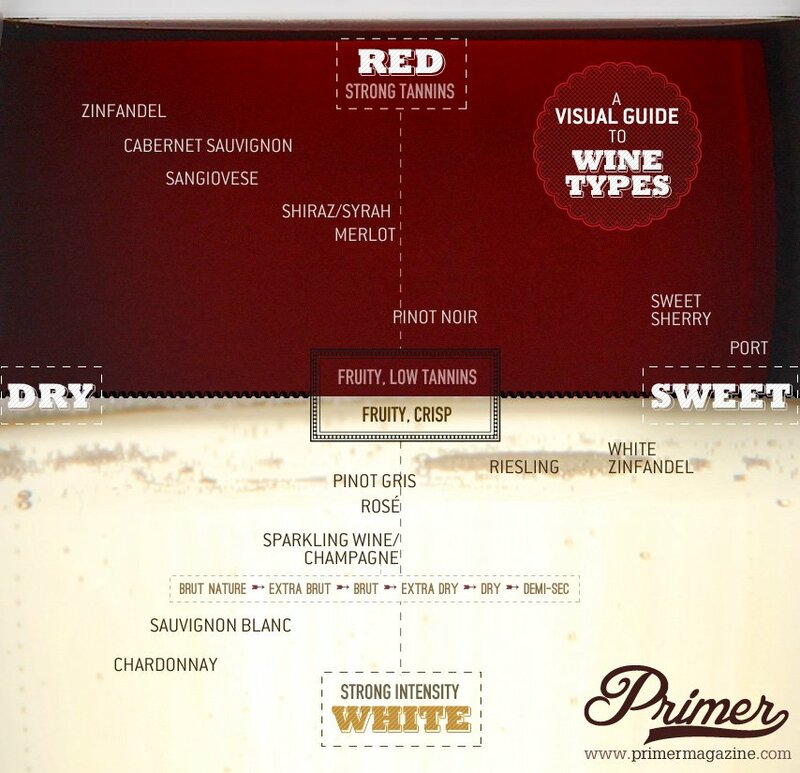 Below is a guide created by Andrew Snavely of PrimerMagazine.com. It nicely outlines the main wine choices you will have. Small Scale Ideas: A bottle of a less expensive wine will give her the idea that she’s thought of. For packaging, various gift bags / containers are available just for bottles of wine. The gift containers are available in paper, fabric and even more elaborate and decorative cardboard tubes. It’s always a good idea to keep an eye out for these throughout the year. They are frequently on sale at craft stores (such as Michael’s) at Christmas time. Also, this is a good thing to buy and keep on hand when you have an extra discount coupon from Michael’s or JoAnn’s. Medium Scale Ideas: To upscale your wine gift a bit, you could purchase a more expensive bottle of wine (if you think she will enjoy it more) or add a wine themed gadget or two that she may enjoy. Large Scale Ideas: For an even larger gift you can create a gift basket, which can be as large and elaborate as fits your gift occasion and budget. A basket can be purchased for a relatively inexpensive price at craft stores and thrift shops. To your basket with the bottle of wine you can add any number of wine themed gadgets. Some additions you may want to consider are wine glasses, decorative stoppers, a cork screw and a wine themed t-shirt, just to name a few. If you’re the crafty type, a wine themed t-shirt can be made quite inexpensively from a blank t-shirt and iron on decals or other decorate accents (these items typically available at craft stores, such as Michael’s or JoAnn’s). Would your gift recipient love to escape from it all, prop her feet up and enjoy an old movie at home? What is her favorite movie genre? Romance? Tear jerker? Chick Flick? Horror? Some great older movies can be picked up at dollar stores and discount store, for just a few bucks. As an alternative to DVDs, you could substitute a NetFlix gift certificate. They are easily purchased online and the certificate printed out. Printing out a gift certificate is a convenient option when you’re short on time or need that last minute gift. TIP: DVDs are a good thing to keep your eyes open for all year around. There are frequently sales on good DVDs at grocery stores, drug stores and other places you wouldn’t normally shop for them. Small Scale Ideas: A smaller gift for this theme would be a DVD (some older ones are less expensive or bought on sale) or a small Netflix gift certificate. Medium Scale Ideas: If you’d like to upscale your movie night theme gift you could choose 2 or 3 movies with the same theme, include some microwave pop-corn or candy (think of all the things you looked forward to at the movie theater when you were a kid). Large Scale Ideas: For the ultimate up scaled movie night gift you can make a gift basket out of as many of the items that you choose. Instead of a basket, you can start with a bowl that can be used to serve popcorn. Items that can be added to the popcorn bowl include DVD(s), microwave popcorn, candy, beverages (soft drinks, fruit juice, tea bags, hot chocolate mix or a favorite alcoholic choice). Gift baskets are a great way to customize a gift to fit your need and the exact situation. What busy woman wouldn’t want dinner prepared for her? You could invite her (and her family) over and prepare dinner for the gift. Not only will you save her time cooking dinner, but also enjoy spending time together. Try to do as much as you can in advance to allow for as much socialization as possible. If time and schedule don’t allow for a relaxing evening together, another option is to deliver a meal that she can heat up or cook easily. Meals that can be made in one pot or pan are a great option for this. If your time is also limited, a crock pot meal can also prove to be a time saver. Homemade chili on a cold evening, a pan of homemade lasagna or a comforting casserole, are all great options. Make sure you include cooking or re-heating directions. A recipe of your dish is also a great addition. Small Scale Ideas: For a smaller scale option, you could give your friend a single casserole or even a plate of homemade cookies. Meatless meal options are a good way to reduce the cost of an entrée. She will know she was thought of and her special occasion (birthday or holiday) was remembered. Adding recipe cards for the dishes you give, also makes a great touch. Medium Scale Ideas: For a larger scale gift, additional dishes can be provided with your gift, such as a casserole and dessert. Another way to enhance the dinner theme gift would be to prepare a meal with more expensive ingredients. Large Scale Ideas: For a more elaborate dinner gift, you could provide a complete dinner (entrée, side dishes, bread, dessert and beverage), either in your home or delivering the food (don’t forget to include cooking / heating directions). When giving a gift, being creative can go a long way. Planning ahead and scaling the size of your gift allow you to give a gift that she will enjoy and one that won’t break your budget. Making her feel special on her special day is much more important than the amount of money you spend.